What a week! In his keynote, Marc Benioff described how advances in how products and services tied together create a "connected customer”, accelerate time to market, and have created the IoT revolution. Mr. Benioff talked about businesses focusing on mass customization that will scale the one-on-one customer experience on a global internet-scale. Dreamforce 2015 kicked off with a big announcement about the coming of Salesforce IoT Cloud. The service, which should be available next year, will build on the growing availability of connected devices and finally enable Salesforce users more direct access to real-time customer data. If it proves out to be robust, Salesforce IoT could go a long way to address a significant gap. Companies leading M2M and IoT industries have been struggling with data lakes—data trapped in disparate systems—and for Salesforce users, this could go a long way to help address transactions that happen after the sale. But Mr. Benioff wasn’t the only one with something to say. Lots of announcements happen around this event. Read this great compilation for a roundup of Dreamforce announcements. The hard work of Dreamforce happens after the sessions and in the hallways. Networking is all hard work, though. We were so pleased to meet up with several of our new partners, including MatrixIntel and Navint Partners, while in San Fransisco this week. Besides tasting some of San Fran’s finest, at what was jokingly dubbed our “inaugural partner summit” our executives had the opportunity to put their heads together and brain storm strategies. In addition to our business and development partners, our team has connected with industry leaders, customers, analysts from firms such as MGI Billing and Blue Hill Research, as well press and media outlets. So many new connections and partnerships have been founded. Thanks to everyone who said hello in San Fransisco! We Made Money Grow on Trees! As part of our effort to support of Dreamforce’s green efforts to create a more sustainable conference, Gotransverse opted out of giving away more stuff in a conference full of stuff! Instead, we offered participants the opportunity to win cash! Ok, so maybe we can’t make money actually grow on trees, but maybe for our winners, it feels like it! 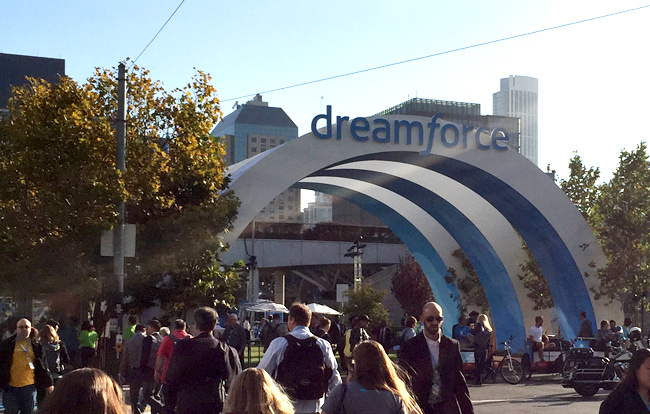 With so many exciting things happening at Dreamforce 15 this week, it’s hard to know how to digest it all. The best advice is to start by nibbling at the edges. When you find something that brings you joy, dive deep and relish the wealth of knowledge and experience and wisdom that comes with bringing such a passionate and energetic group of entrepreneurs and business leaders together. We are delighted to have been a part of the experience! 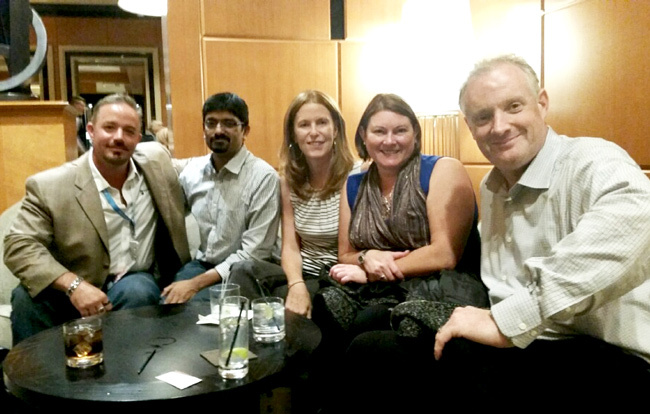 What was your favorite part of Dreamforce? Let us know!